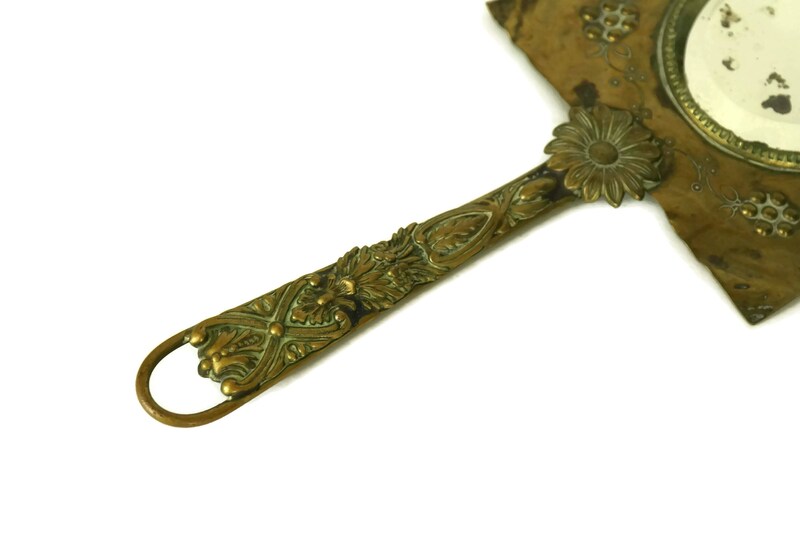 A beautiful antique French bronze hand mirror dating to the late 1800s. 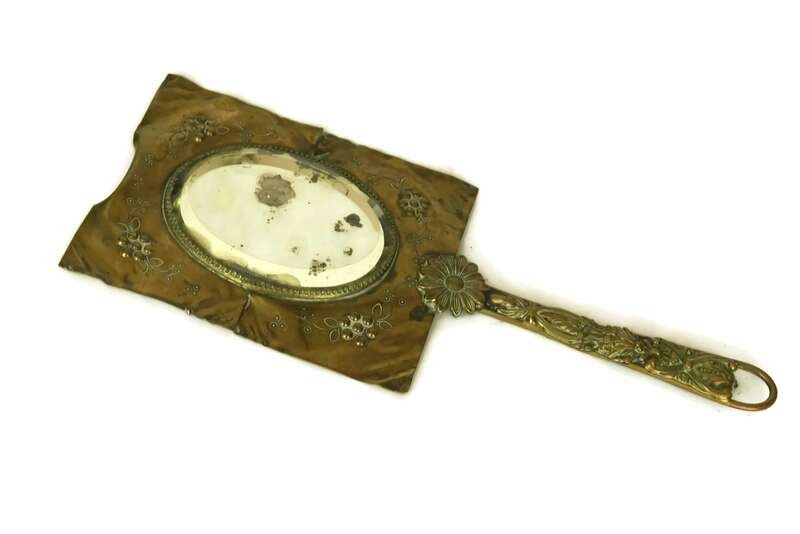 The metal frame of the vanity mirror features a rectangular form ornately decorated with flower motifs. The left and right sides of the frame have a horizontal cut line to the design. 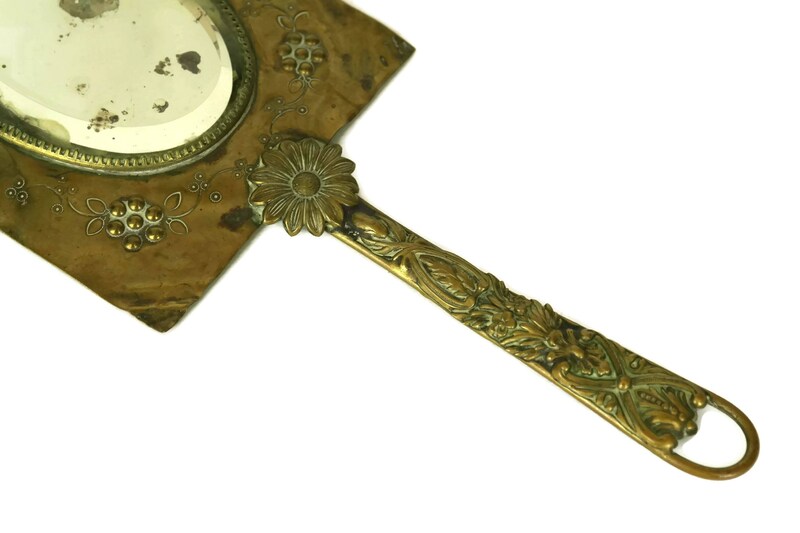 The center top of the makeup mirror has a slight backward curl. 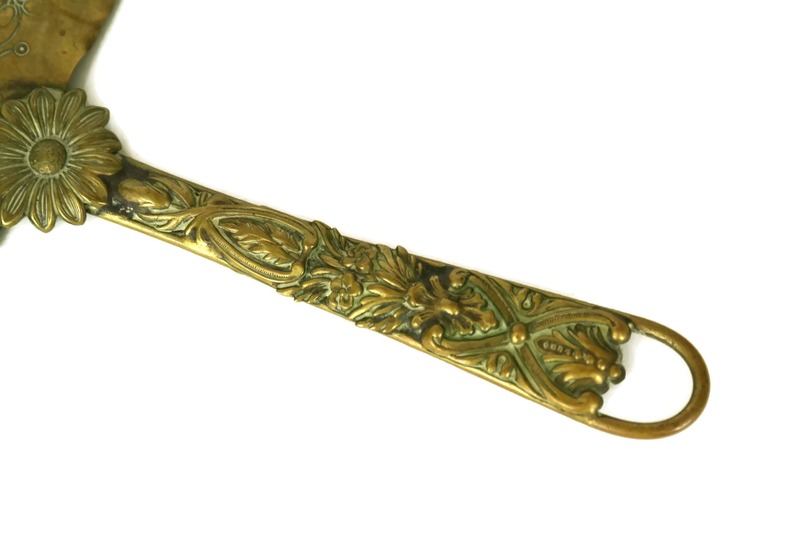 The handle has also been embellished with flowers and leaf patterns. 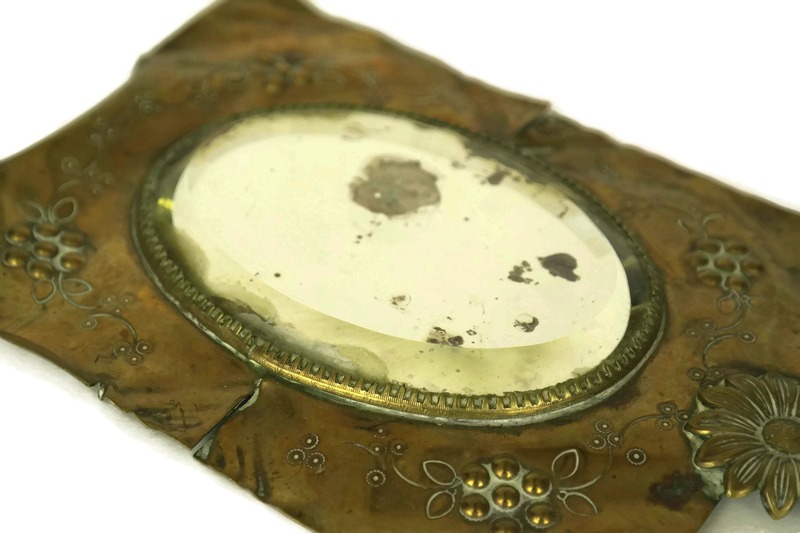 The oval glass mirror has beveled edges and has been securely attached with a claw setting. 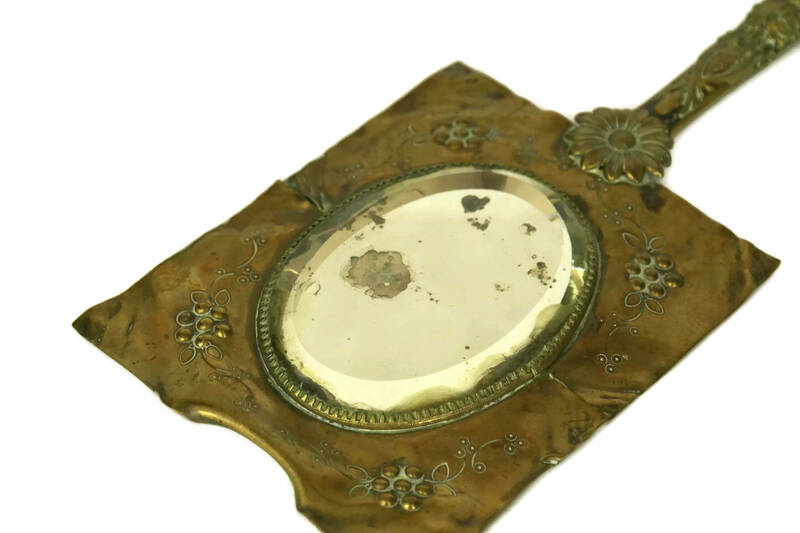 This beautiful Art and Craft looking glass will make a great accent to your French boudoir decor. 12" Tall x 5" Wide (31 cm x 13 cm). 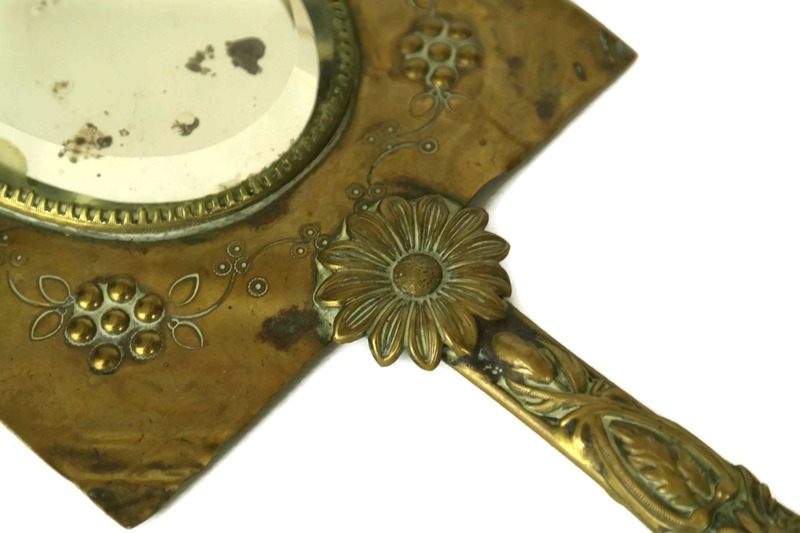 The oval glass mirror is 4 1/2" and 3 1/4" Wide (11 cm x 8,5 cm). 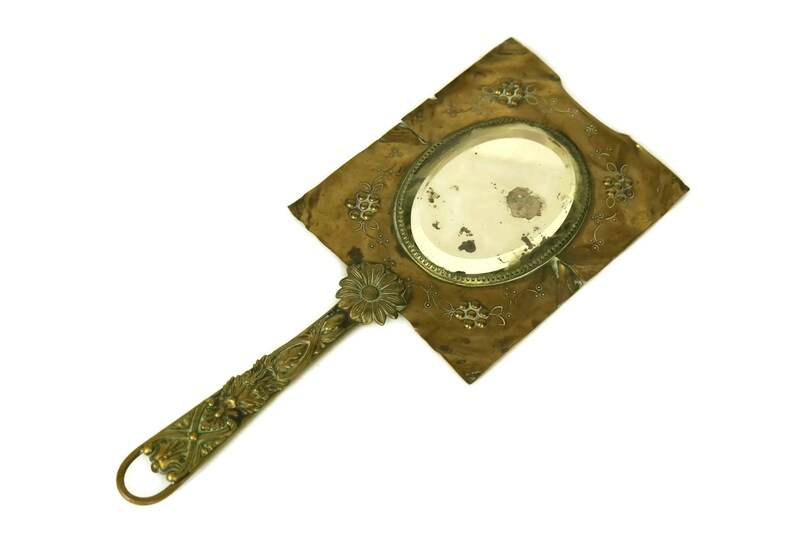 The French vanity mirror is in good antique condition with signs of age. 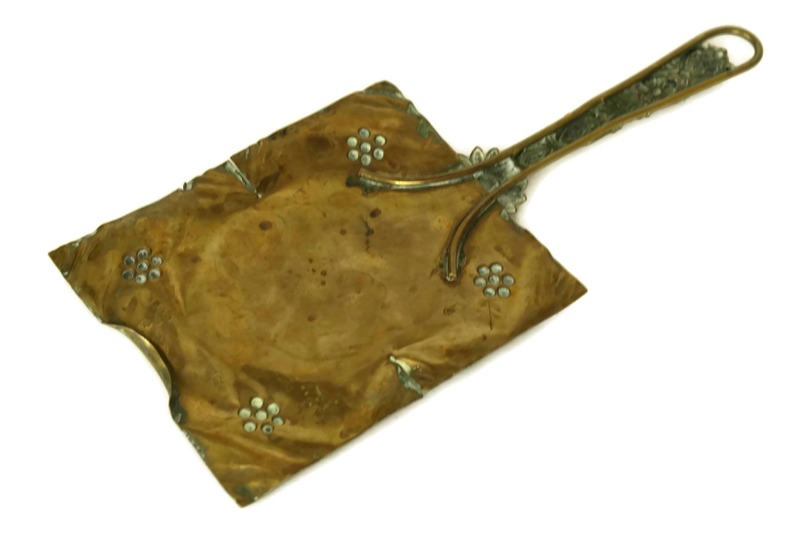 The bronze frame has patina, surface marks and wear. 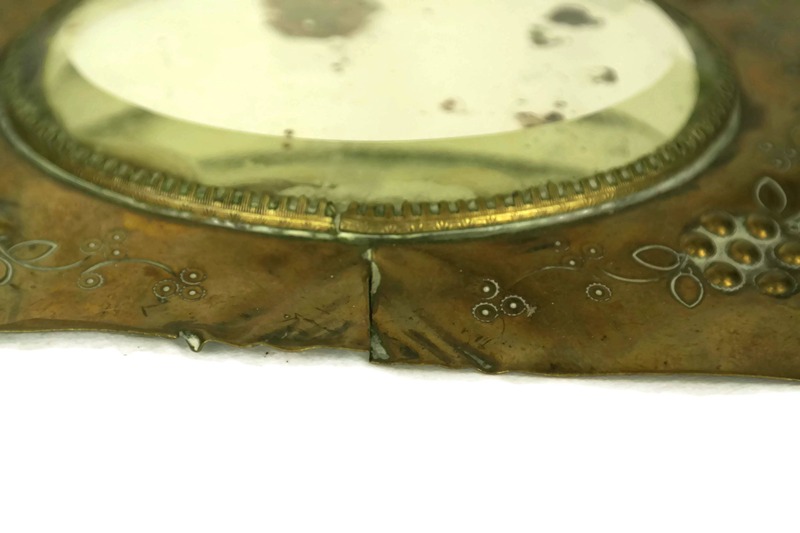 The glass mirror is in fair condition and has areas where the silver backing has flaked and worn off. There are no chips or cracks to the glass.